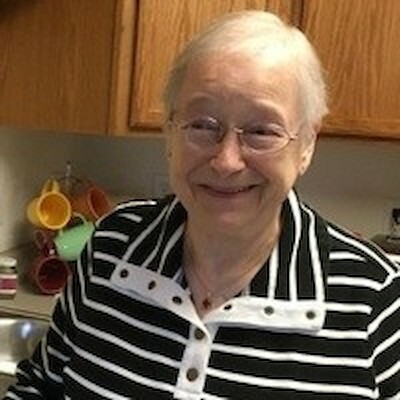 Crystal Irons, passed away Thursday, January 31, 2019, at the age of 83, after a battle with cancer. Crystal was born on February 4, 1935 in Park Falls, WI to Rush and Bernice Gardner. On August 9, 1952, Crystal married Lowell Irons and they enjoyed 50 years of marriage together. They spent most of those years in Webb Lake, WI. Crystal loved the outdoors. She enjoyed fishing, gardening, picking berries, going to rummage sales, playing cards, puzzles, reading the Bible and watching the many wildlife that would come to her feeders. Crystal also enjoyed spending time with family and friends. She was preceded in death by her parents, Rush and Bernice Connor; her husband, Lowell Irons; sons, Tony and Randy Irons; grandson, Kelly Rae Irons; sister, June Jordan; and brother, Bernard Deuse. She is survived by her daughter, Robin Irons; daughter-in-law, Rita Irons; granddaughters: Tara Almadhoun, Jennifer Goetz, and Jennifer Tubb; 6 great grandchildren, 1 great-great grandson, sisters: Rose Harwood, Bea Ellen Williams, Harriet Storey; and other relatives and friends. The Memorial Service will be held on Saturday, February 16, 2019 at 11:30am (visitation from 10:30am - 11:30am) at Crossroads Christian Church in Webster, WI.